This ready-to-frame watercolor limited edition giclee print is printed on artist watercolor paper with archival inks and double matted in a buffered and pH neutral double mat with black reveal. Only 30 limited edition giclee prints were printed in this run, and each is hand-signed and numbered by Karen and arrives packaged in an acid-free clear bag with an acid-free and pH neutral backboard comprised of 100% recycled content. This giclee is ready for framing in a standard sized 16"x20" frame, or you can purchase it framed. This print is also available framed or unframed as an open edition print in a 11"x14" mat. This piece may be purchased as a companion piece to American White Pelican (Pelecanus erythrorhynchos) pictured below. 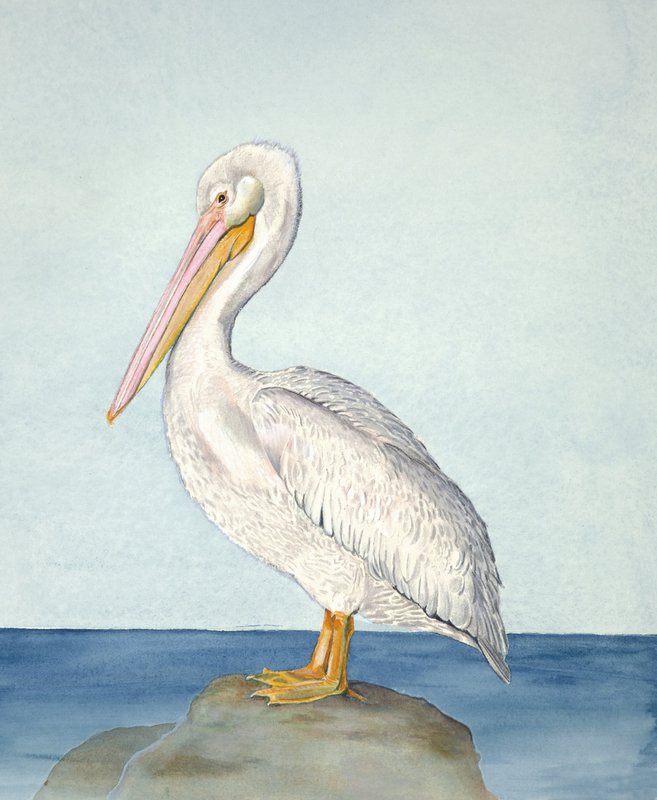 Click the button below to add the Brown Pelican ( Pelecanus occidentalis) 16"x20" Limited Edition Giclee Print to your wish list.